At Lower Darwen Primary School we have a focused and systematic approach to the teaching of phonics. On this page we aim to share with parents some useful tips and resources that will help you while reading with your child at home. Please take some time to watch the short video clips and use the linked resources and pages to support your child at home. If you have any questions or do not fully understand any of the advice on this page please speak to your child's class teacher. At Lower Darwen we use the comprehensive synthetic phonics programme, Floppy's Phonics Sounds and Letters, developed by phonics expert Debbie Hepplewhite to systematically teach and practise Letters and Sounds. The Sounds and Letters resources are fully matched to the DfES Letters and Sounds phonics programme and are further supported in school by Floppy's Phonics Fiction and Non-Fiction reading books. Floppy's Phonics stories enable your children to improve their word recognition skills and language comprehension. 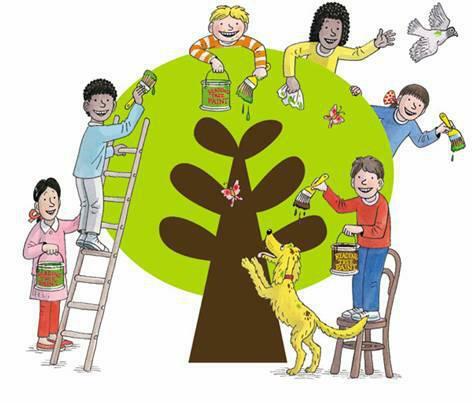 They fit in with our existing Oxford Reading Tree stories enabling your child to build confidence by providing opportunities to practise decoding skills within a familiar setting. Download the phonics information for the school by clicking below.